Few saw New York Islanders forward scoring Casey Cizikas scoring 20 goals this year. To be fair, fewer still probably saw the Islanders themselves making the playoffs, which they’re on the verge of doing. Theoretically, Cizikas’ career season is easily explainable. Increased ice time due to the departure of the team’s top star, John Tavares, who just so happens to play the same position, would do statistical wonders for anyone. Truth be told though, Cizikas’ increase in ice time has been minimal. His average ice time of 13:54 is admittedly the most he has ever played, but it’s compared to 13:13 in 2017-18. Plus Cizikas also played 13:54 in 2016-17, when he scored just eight times, albeit in 59 games, which is more in line with the output one would expect from him. Still, that 2016-17 season, Cizikas managed 25 points for a point-per-game pace of .42. If you look past the outlying 20 goals he’s scored this year, with his 11 assists he’s scoring at a .45 point-per-game clip. So, even taking into account his career-high 19.4% shooting percentage, this is somewhat previously charted territory for him. In effect, Cizikas is earning his pay. When he signed his current five-year, $16.75 million deal, most justifiably saw it as an overpayment for a fourth-liner. That was in June 2016 and he responded with that relatively impressive 2016-17 season. He’s simply doing it again… just to a slightly greater degree. What is new are the 103 shots on net Cizikas has earned, which are far and away the most he’s ever gotten and work out to approximately 1.5 each game. For some context, this is a guy who, in 2013-14, had just 79 shots… in 80 games. It’s an indication he’s playing with more confidence, because there’s no other real explanation considering his deployment. As has become the norm, Cizikas is starting the vast majority of his starts in the defensive zone (66.3%). It’s reflected in his possession metrics as well. 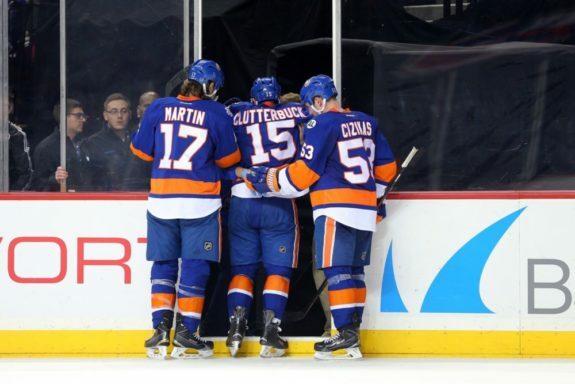 When he’s on the ice, the Islanders get just 45.6% of the total shot attempts (Corsi). That’s bad, but understandable, considering he’s still a defense-first forward, who just so happens to be lighting the lamp with increased regularity. So, is it sustainable? Likely no, but it is possible. If Montreal Canadien Paul Byron can routinely score on 17.7% of his shots as a repeat 20-goal guy, so can Cizikas. As smallish, penalty-killing specialists, they do share some common ground. For some perspective, the average shooting percentage this season is 9.00% and Craig Simpson has the highest on record at 23.7%, for his career. Islanders great Mike Bossy had one of 21.2%. So, Cizikas’ goal-scoring success is hardly unprecedented, just for him. Even then, he’s proven himself capable of shouldering some offensive responsibility in the past. If he continues to shoot more, there could be some further untapped potential there, which would make his deal look more like a bargain than the albatross most assumed it would be by now. With two seasons remaining at just 28 years old, he may even be looking at a raise. Don’t laugh, as this is a team with the “best fourth line in hockey,” which owns a cap hit of $9.35 million per season. There’s little denying the effort levels of Cizikas, Cal Clutterbuck and Matt Martin, but, on the strength of Mikko Rantanen’s entry level deal, he, Nathan MacKinnon and Gabriel Landeskog’s collective cap hit is just $12.77 million for the Colorado Avalance. Meanwhile, when Leon Draisaitl isn’t playing on the Edmonton Oilers’ top line, theirs is basically just Connor McDavid’s $12.5 million plus change. So, needless to say, the Islanders have yet to meet an overpaid fourth-liner they didn’t like. After all, they met one, overpaid him and effectively did it two more times. And it’s worked out. So, an eventual raise for Cizikas isn’t out of the question. It’s all assuming Cizikas keeps it up, of course. 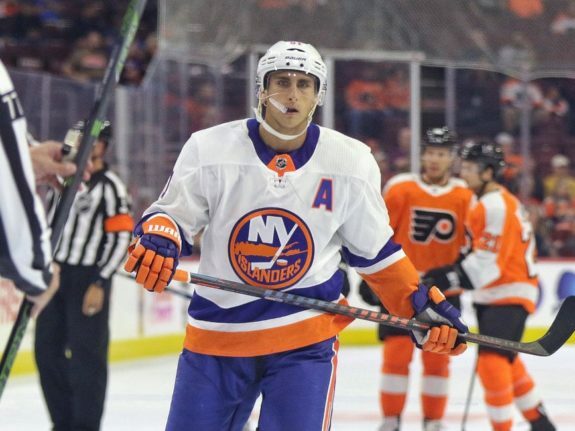 He has proven himself to be an invaluable member of a team filled with them, but it’s telling his abnormally high shooting percentage isn’t even the highest on the team, with that honor going to Valtteri Filppula’s 20%. Plus, Filppula is one of several pending, high-profile unrestricted free agents. Jordan Eberle, Brock Nelson and captain Anders Lee also have expiring deals, along with goalie Robin Lehner. There is good news though. 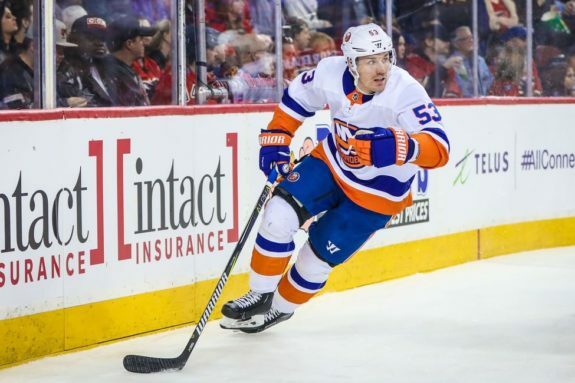 Whereas Cizikas’ success is potentially sustainable, so is the Islanders’, as they have approximately $10 million in space, with a salary cap that should rise further. If general manager Lou Lamoriello can find a way to keep the band together, whatever lightning’s been captured in this bottle by head coach Barry Trotz can maybe live on. 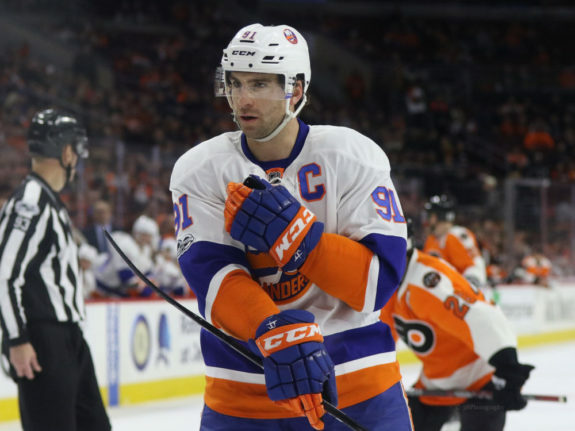 If not, the Islanders would be poised to lose a captain (Lee) and top-six center (Nelson) for the second-straight season. At least then Cizikas would probably get more ice time, though. Right? Sure, both Cizikas and the Islanders have exceeded expectations this season, with Trotz being a favorite for the Jack Adams Award. It all makes for a great story, but what makes a story truly great is the ending. If this is the end, eith a single series win since 1993, the home-ice advantage for the first round they’re poised to earn is huge. Doubly so, as it would be against the Pittsburgh Penguins. The roles would be reversed from when the two teams met in the first round in 2013, but Cizikas was third in team scoring with four points (two goals) in six games then. That was the season he had his career-high 13.3% shooting percentage (up to this point). Needless to say, this could get (even more) interesting.